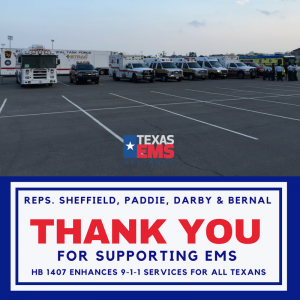 The Texas House of Representatives passed the Texas EMS Assistance Program bill on May 3. 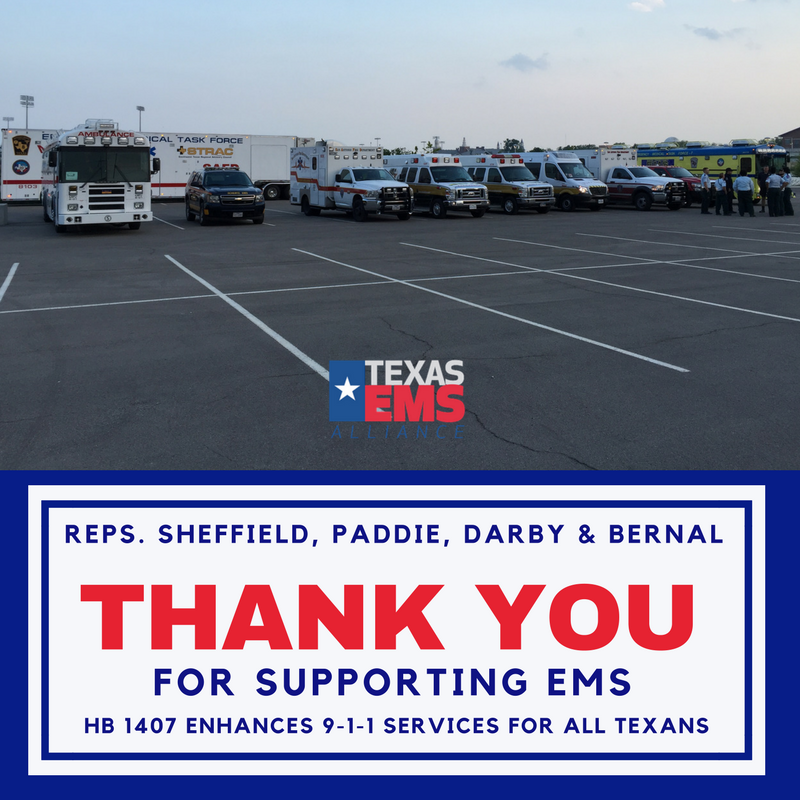 HB 1407, which is sponsored by Rep. JD Sheffield (R-Gatesville), would preserve local project grants (LPGs) and create a distance-learning training program for rural paramedics. Other bill authors include Reps. Chris Paddie (R-Marshall), Diego Bernal (D-San Antonio), and Drew Darby (R-San Angelo). 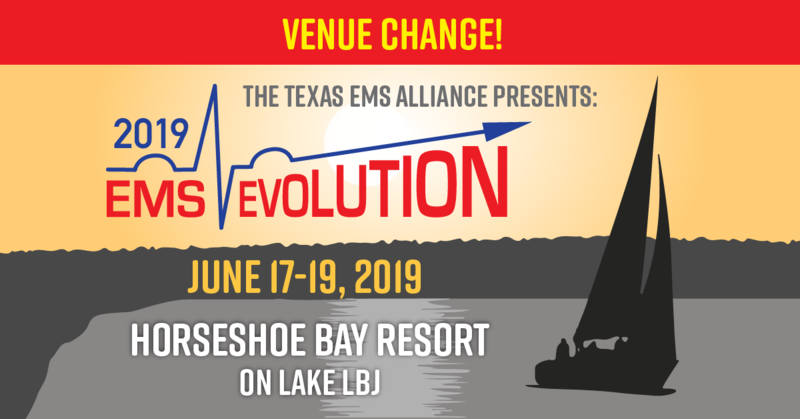 C0-authors include Reps. Bobby Guerra (D-McAllen) and Drew Springer (R-Muenster). Senator Kel Seliger (R-Amarillo) is the sponsor of the Senate companion, SB 1471.